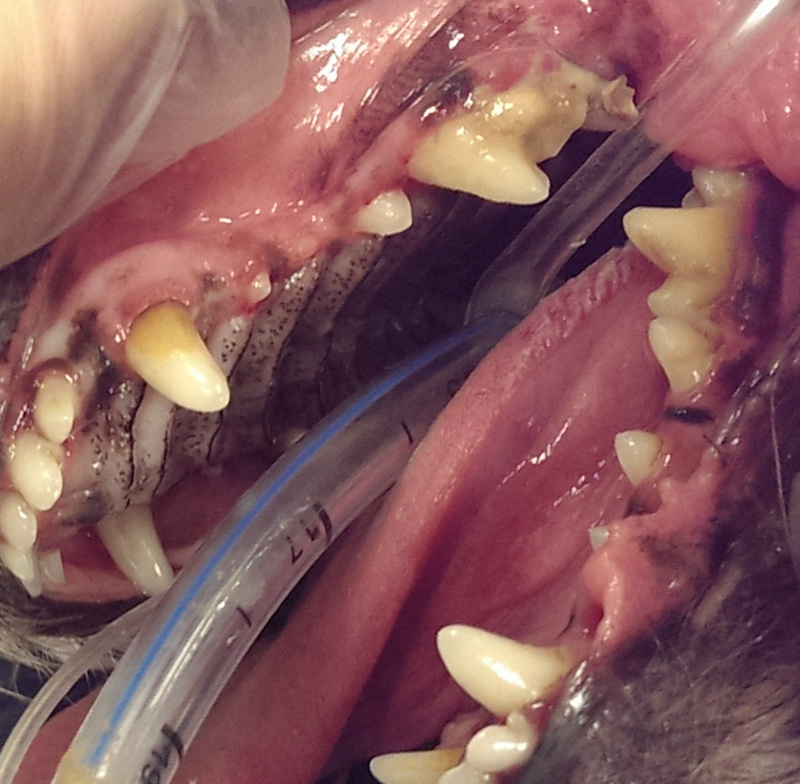 Full Dentistry for your Pet! St. Francis Veterinary Clinic offers a state of the art veterinary dentistry. Offering our general dentistry services with our full time veterinarians and work in close relationship with board certified dentists when the case and help is needed. Teeth cleaning involves the cleaning of your pet's teeth to remove plaque, tartar, or calculi with the goal of decreasing the risks of gingivitis and periodontal disease. The cleaning will be done by our highly trained nurses while your pet is under anesthesia. The basic cleaning includes full mouth x-rays and a full evaluation by your pet's veterinarian. This is the perfect way to assess and treat the hidden pains of your pet, improve overall health by decreasing bacteria in the mouth. If your pet is found to have a dental/oral disease like gingivitis, periodontal disease, a tooth abscess, a tooth fracture, resorption lesions, etc. we will be able to take care of your pet's uncomfortable or painful condition. Once the problem is identified, our veterinarian and staff will work with you to develop the best treatment plan for your pet. If observed during the first assessment (during the first cleaning), and your pet is stable, and all can be done during the same anesthesia, we will proceed. If not possible then the procedure may be broken down in 2-3 therapies as considered necessary to resolve the problem. Follow up oral evaluations and cleanings are highly recommended every 8-12 months. Our veterinarian may suggest a different time frame based on your pet's mouth condition and overall health assessment. 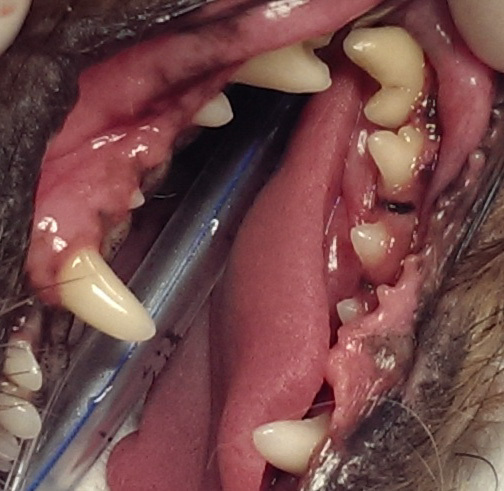 Check our section on Dentistry on our PetSites for frequently asked questions. Schedule your dental evaluation and cleaning today or call us to discuss any questions or concerns.